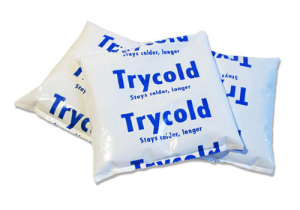 The gel ice packs we carry are manufactured in Michigan with the highest grade 4.1mil USDA approved polyethylene film and use only the finest non-toxic gel material available for a longer lasting gel pack. 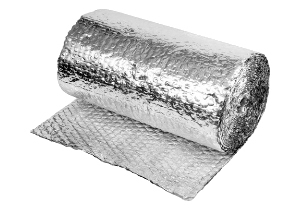 Our double foil bubble wrap comes in preformed gusset bags, 2-part box liners, pouches, pallet covers, or by the roll for a custom cut. Lining your boxes with our foil can be as effective as 3/4" foam coolers. 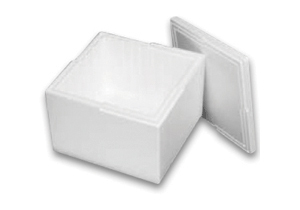 Foam coolers are the standard when shipping temperature-sensitive materials. We have a large selection of stock sizes to fit your application. Contact us for custom-molded high performance coolers. Are you a business looking to ship temperature-sensitive products to your customers? We've got the solutions you need. We stock the highest quality thermal shipping supplies so we can make sure your products arrive cool, dry, and fresh. Take a look at our products, our large selection of stock sizes, and our prices. You'll find a match for your needs at a price you can afford. We created a catalog of all the essentials in cold shipping and put it all online for quick ordering. Simply add your order to your cart and we'll walk you through setting up a company account so that your contact and shipping information is stored to make it even easier next time! Credit card information is never stored on our servers. We have the lowest prices on skids of our gel packs guaranteed. If you can find a lower price online, contact us and we'll make sure our price competes! We ship freight whenever possible, so order by the pallet and save on shipping! We can ship anywhere, but since we're in Michigan, we have the best shipping rates to the Eastern and Midwestern states. If you're only looking for a small supply, send us your UPS number and you can see the exact rate you're getting and get billed by UPS directly.